SEE BELOW for Sizing Chart Shoes are in Euro sizing not Chinese, remember these are different. 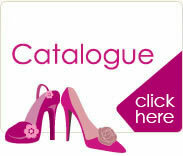 Dance shoes are specially made for dancing, they are not like buying a normal shoe. A dance shoe should be firm fitting, snug, but not too tight. The shoe will stretch a little as your feet warm up and from movement of dancing so dont buy too loose to start with. Your dance shoe will mould to your foot after a few wears. 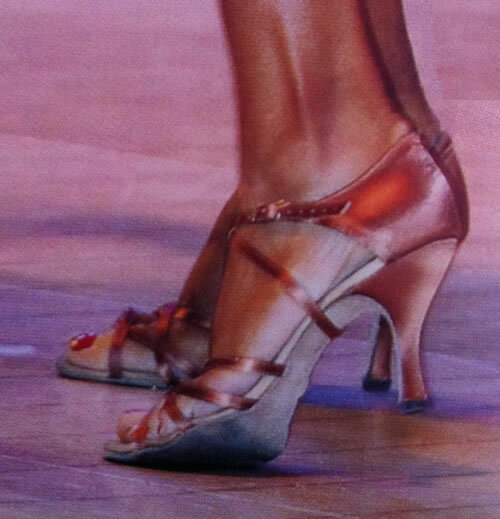 Your foot should not move around in the shoe when you dance as this will cause rubbing and blisters. Your heel should be firmly against the back of the shoe and your toe should be nearly flush with the end of the shoe when standing. An innersole under the ball of your foot will stop your foot from sliding down in the shoe and forcing your toe to hang over the end of the shoe. Look for the soft ones that will stick to your shoe and not move around. 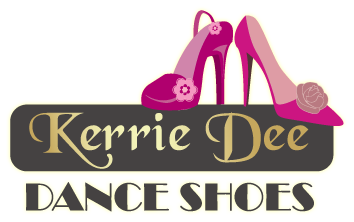 The soft innersole of Kerrie Dee Dance Shoes features extra padding for comfort to prevent tired, aching feet and the dazzling colours of the shoes means you can select a shoe that will go with that special outfit. The buckles are a new set strap this allows you to set to your size once and the shoe is done up to a hook. No more fiddling around trying to do up that buckle. 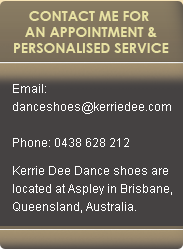 All Kerrie Dee Dance Shoes come with a Suede Sole which will let you feel the floor. These give you great traction on a wooden surface and give you control on your slides and turns. I recommend a Shoe Brush to clean the sole to prevent build up and maintain a clean surface. Choosing the right size can be difficult, please do not hesitate to contact me if you have a problem with this. 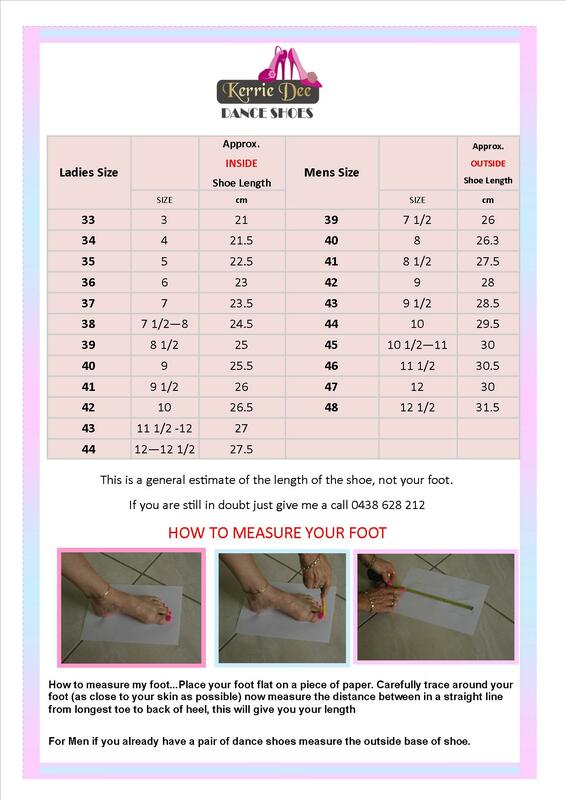 People tend to by shoes online to big so please read the sizing chart below and I hope this help you with sizing. If you are unsure please give me a call to discuss thanks.